The tiny village of Vesper in Wood County, Wisconsin engendered such good feelings among its early residents that someone penned a tribute song to the village along the Hemlock Creek. The Hemlock Creek runs from just north of Arpin and flows south to the Wood County line. It includes more than 80 miles of streams. 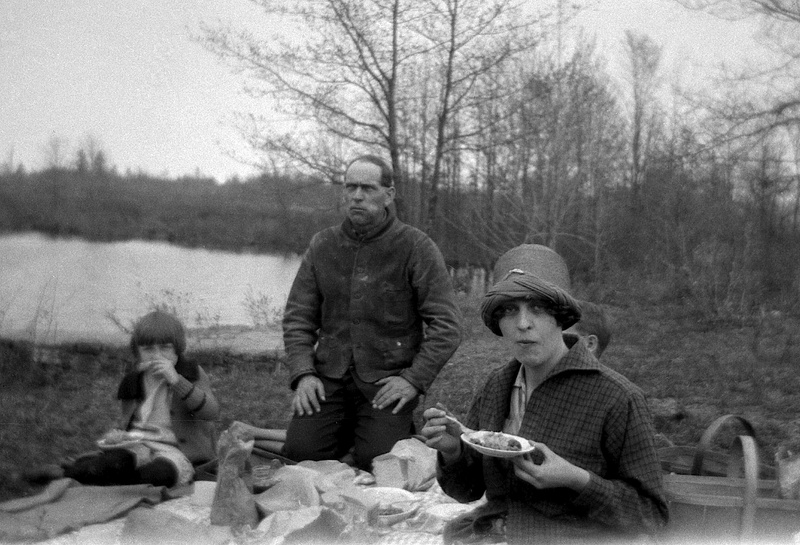 The Treutel family enjoys a picnic lunch on their property along the Hemlock Creek at Vesper, Wisconsin, circa 1924. Pictured, L to R, are Elaine Treutel, Walter Treutel and Ruby Treutel. Marvin Treutel is partially hidden. From the ashes of a massive sawmill fire in 1894, Vesper became a prosperous farming and manufacturing village 10 miles northeast of Wisconsin Rapids. Many of our relatives found work here and raised families. The village had a number of factories, general stores, a meat market, a locally owned bank, blacksmith shops, a community theater, a roller rink and more. On warm summer days in the early 1900s, folks came from miles around to gather at the bandstand in Cameron Park. 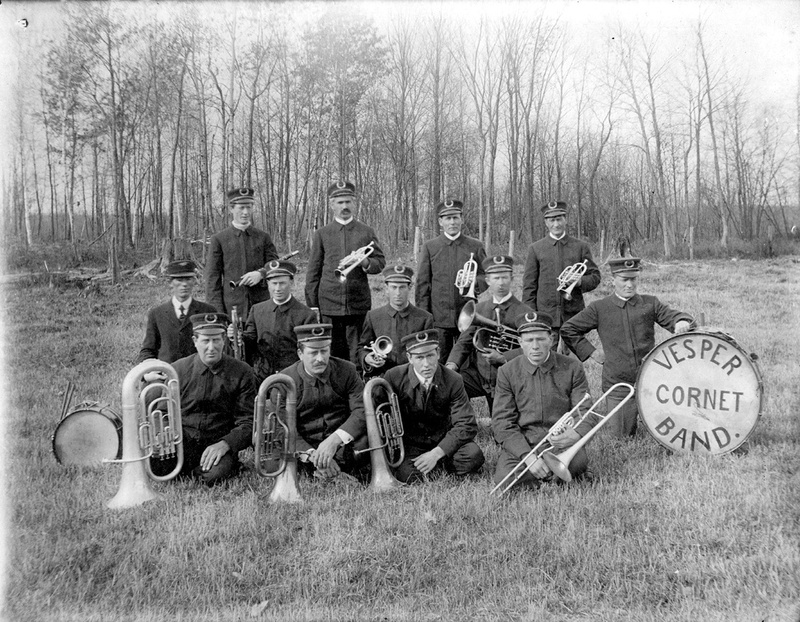 They enjoyed a variety of live music by the Vesper Cornet Band and other area musicians. It is not surprising such a place would win the hearts of its 300 residents. 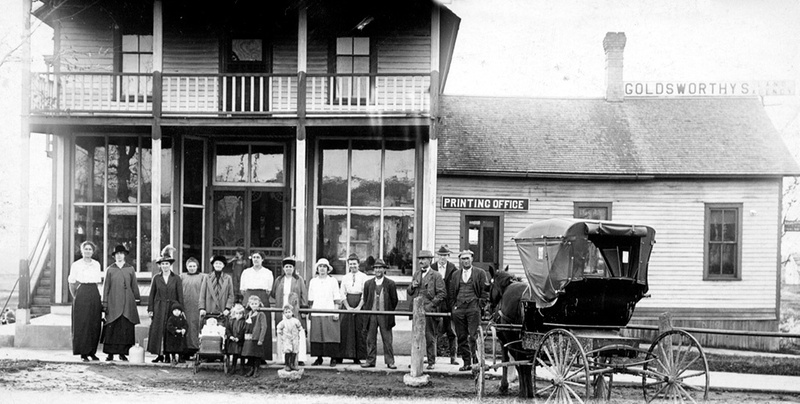 The old Goldsworthy’s Store in Vesper, which later became the Treutel Bros. store. Where? Vesper, Wisconsin, on the Hemlock Creek. Great post I enjoyed it very much. I believe the Vesper song is sung to the tune of Turkey in the Straw. Thanks for the extra detail!